Herbal remedies for menopause offer a safe and effective way to deal with fluctuating levels of estrogen and progesterone. Those hormone imbalances can lead to symptoms like hot flashes, night sweats, insomnia, depression, weight gain, and mood swings. Herbs and plants contain natural compounds called "phytoestrogens." Phyto means plant so these are plant estrogens. They have a molecular structure similar to human estrogens. But they are much weaker. Plant estrogens can have one-hundredth or even one-thousandth of the power of human estrogens. Still they can make all the difference in balancing hormones. Phytoestrogens are what is known as "adaptogens." They adapt naturally to a woman's need for estrogen. When estrogen levels are too high these natural phytoestrogens block stronger estrogens, easing symptoms of estrogen dominance. 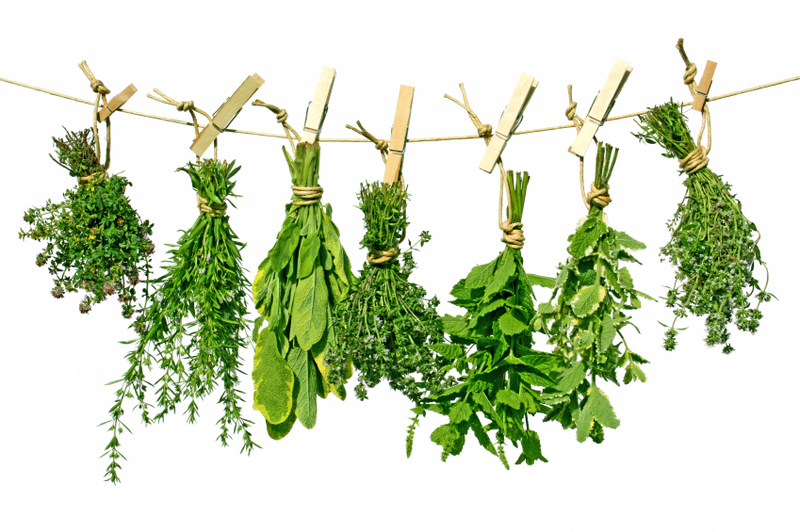 But remember that herbs and plants do not work like drugs or hormone replacement therapy (HRT). They are most suited to women who are interested in a natural solution to menopause symptoms and want to avoid HRT because they have had cancer or don't want the increased risk of breast cancer or heart disease. Herbal remedies work more slowly than drugs. Most will not give you immediate results. But over time they can be very effective. Also, be aware that there is a difference between herbal supplements and the effects of eating or taking the whole herb or plant, including roots, stems, leaves, and flowers. Herbs have hundreds of active ingredients that work synergistically with your body. Western medicine doesn't fully understand the complexes of the whole plants. Supplements often isolate one compound from a plant or herb. On one hand that purified active ingredient may work more quickly and effectively. But the entire plant contains the whole healing package the way nature designed it. This combination of interactive molecules helps balance the body at may different levels. And herbal remedies are not THE single solution to menopause symptoms. They work best in coordination with an overall plan that includes a clean whole-foods diet, exercise, stress reduction, and personal development. But for many women herbal remedies play an important role. Click here for more information on herbal remedies for menopause symptoms.